A couple of years a go I came across a river in Norway, that would quickly become an all time favorite. This river had it all, nice scenery, fun riffle, runs and back eddies to fish. A rich insect life with prolific may-fly and Caddis hatches. 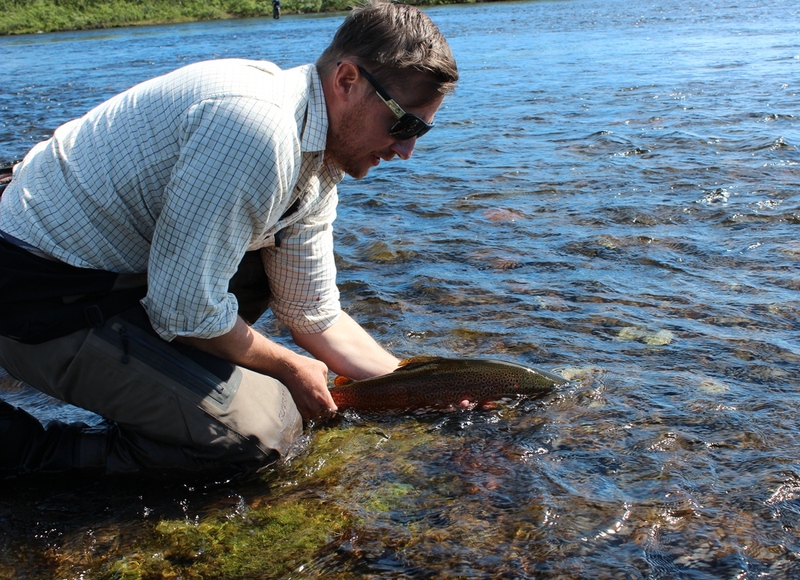 If that was not enough, the trout that inhabit this river turned out to be something quite spectacular, with a deep red color on it´s belly and their green backs, they looked nothing I have seen before. The insect hatch can be out of this world. Some afternoon´s, the air will be filled with so many up-whinged insects and caddis, that it makes it almost impossible to see to the other side of the river. Aurivilli By: Peter Andreas Christensen. The Auriviilli is probably the most important may-fly up here, at least from an angler´s point of view. No other may-fly will push so many big fish towards the surface. When they hatch, it is like turning on a switch. 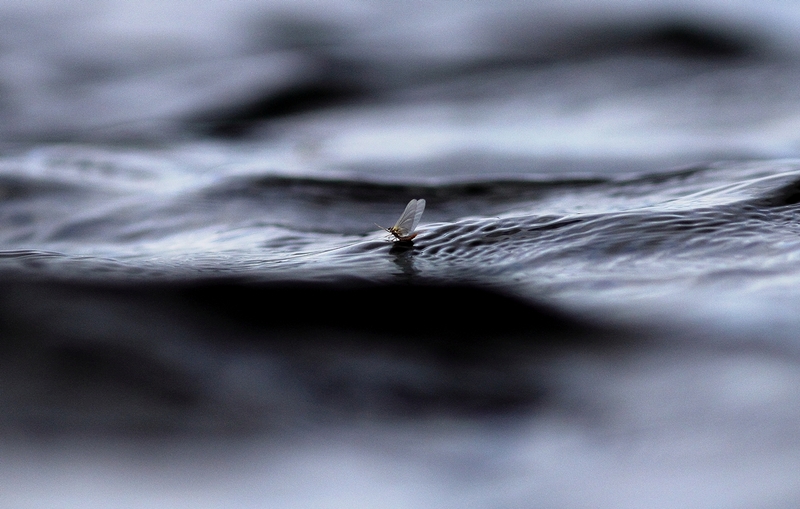 Mayflies in a staggering amount drifting down the current while trout feed on them like there is no tomorrow. It´s during these times that you can have one of those magical moments of fishing, when every trout is looking up towards the surface. Fantastic Mr Trout with a beautiful fish. The weather can change on a dime, and if your unlucky, it will cut a hatch short and ruin what could have been a great day on the river. I´ve seen it to many times, a lot of insects coming off and you think to yourself, today is the day it all happens, only to have it ruined an hour later by gusting ice-cold winds from the north that spoils the fun. 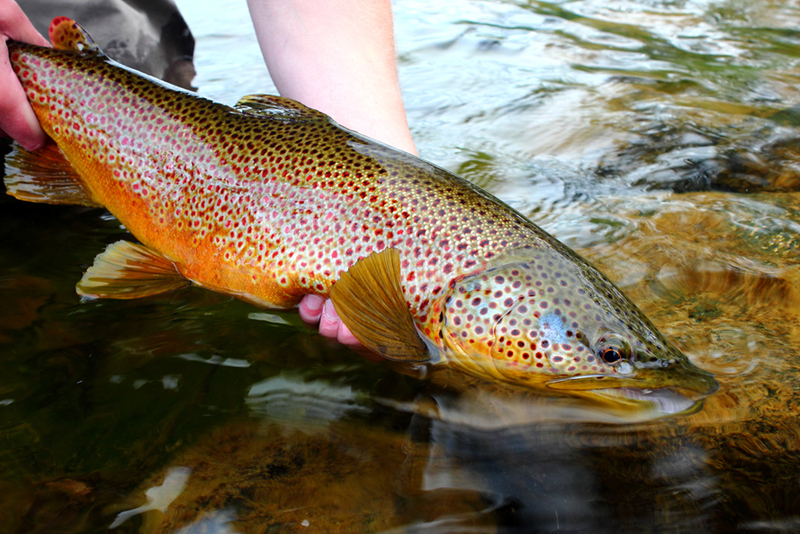 Trout is however accustomed to this type of rapid weather change, and so they tend to start feeding from the surface as soon as the first couple of mayflies hatch. There is no time to waste up here as summer is very short and fish need to put on weight before the long and dark winter takes over. Last year me and a good friend experienced one of days when you thought nothing good could come of this day.We have had rain the entire morning and not a lot of rising fish, the caddis had been hanging around the tree line and frustratingly avoiding the water. It was just before lunch time when the aurivilli hatch started and the skies opened up revealing the sun for the first time in days. Some fish had been rising since the start of the hatch but the big guys where nowhere to be seen. Suddenly the caddis started flying out on the water and it didn’t take long before I spotted four really big fish. They were all lined up, with two meters apart feeding at the edge of a faster current. Here, in the slower moving water they could feed on the insects without expending too much energi. These fish where big, they had hogged the best feeding positions and if that was not a good enough sign of big fish, then that slow head and tail rise threw any doubt out the window. I tied on a CDC Caddis and had had an hour of fly fishing heaven. the weather swooped in and the cold set in again, putting an end to it all. It was probably for the best, it will keep you honest. Showing respect to the trout on days like this is hard for many anglers, but it is important to remember that when fishing is easy, dont exploit it. 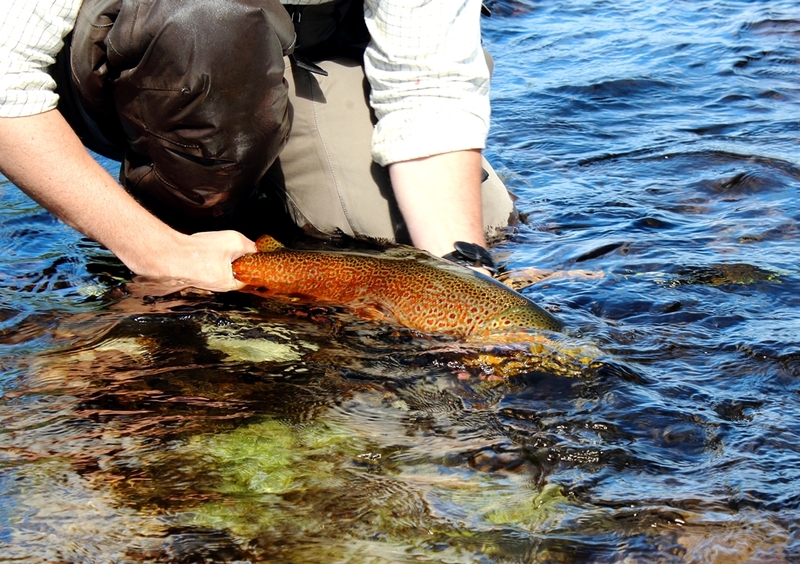 Sit back and just enjoy that you have landed a good trout. A good day on the river.